Dr. Methuselah says Look into my eye! It's a rainy Simian Saturday here, but at least it isn't freezing outside. I'm ready for Spring!! 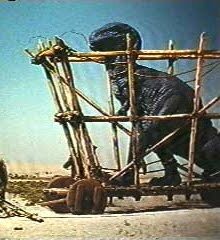 I wanted to share a great resource for Planet of the Apes (original series) that Trey mentioned some time ago on his blog. 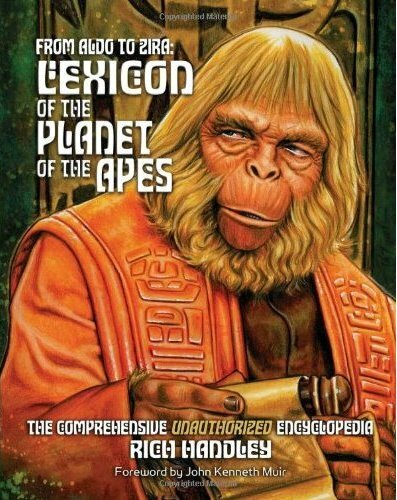 From Aldo to Zira: Lexicon of the Planet of the Apes, this is a great resource for those folks who are as into the Planet of the Apes as I am. John has written an adventure for it, the first part is available in Land of Nod #22 with the second part due out soon. I'm not sure when I will get to run this, may have to be a Con game, my regular group is all having to work overtime and sidejobs due to the economy, but I can at least work on it. 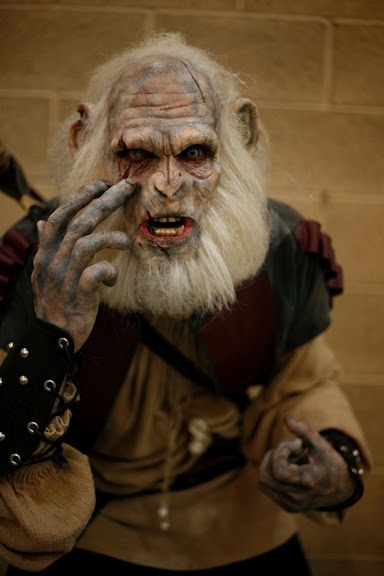 And I can't have Evolved Simians without Mutants! So I have the amazing Metamorphica to pull from and my trusty and well worn copy of Mutant Future. Aeons & Auguries has a fun Encounter Table I'll be tweaking and using! 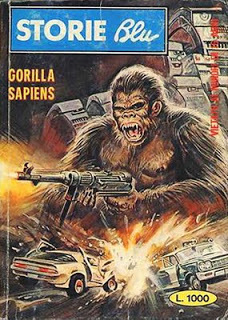 Guess that's all for now I hope everyone has a great Simian Saturday! I know a lot of cool blogs are out there that aren't updated anymore, one blog that is still out there but hasn't been updated in almost a year is Planet Algol. In particular I love Blair's posts on his Planet Algol Campaign Setting, WOW just WOW, there was talk of it being published at one point, he even teased some of the art (all of it looked great!! ), but nothing has been said about that in ages. *Sigh* I would love to play in such a Campaign. Very cool Weird Sci-Fantasy Kinda Gonzo Fun! I was thinking the rules from Astonishing Swordsmen & Sorcerers of Hyperborea would work nicely with this setting. Instead of Vikings, Celts, and Kimmerians the players could be Nire Witches, Vlesh Men, Bone Men and heck it even has its own version of Hyperboreans! See there is a connection!! : ) Hmmm...maybe I need to try to run a game of this! This weekend was Mid South Con in Memphis, Tennessee. I managed to get to go for part of Friday and a good bit of Saturday. I had fun, The Troll Lords had a booth and I got to talk C&C with some folks. Bought a copy of C&C Classic Monsters. 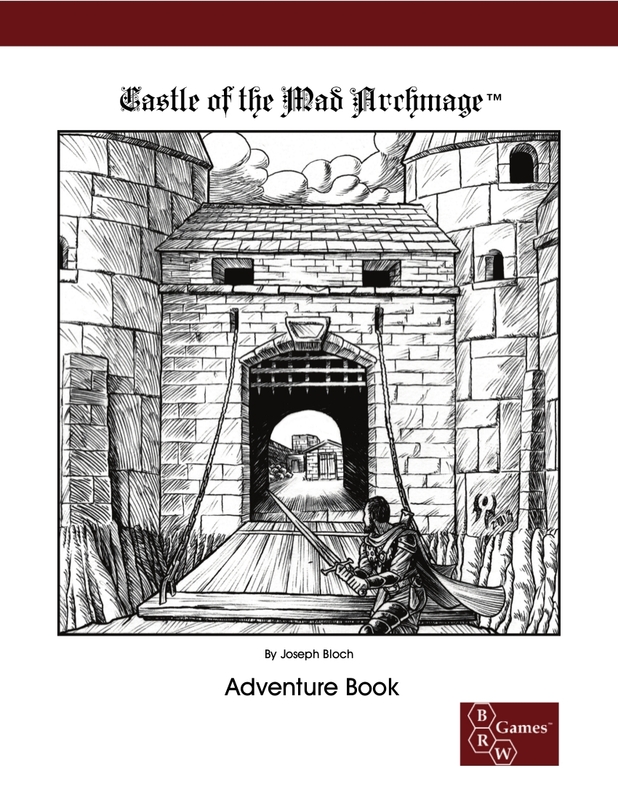 I played some Labyrinth Lord with an old gamer friend who was in town for the con, wherein we got to adventure in The Castle of the Mad Archmage (at least I think that was the adventure the DM never specified but the art he showed us looked like the image below)! Labyrinth Lord is so cool that we had time to roll up our own characters and still have time to play. I was Biorn Biscuit Eater rotund fighter of renown, along with Graga the Dwarf and Lucky the Thief (Lucky wasn't so lucky he died down in the dungeon's depths)! The dungeon was fun, I wish we'd had more time to explore it, but the DM had to go to another event so we wrapped up the session. Boardgames were very popular this year, not my thing, but I did play Conquest of Nerath, and actually did pretty well. There were several Pathfinder Society games going, again not my thing. I was disappointed in the dealer room, not much to choose from this year. But the money I didn't spend can be used to purchase The Dungeon Dozen! All in all it was a fun weekend, the Labyrinth Lord session has me hankering to start running again. So if your in the Memphis area and want to toss some dice give me a buzz! I haven't posted about the Blood & Treasure RPG in awhile, but I still think it is a great game, it is a nice merging of old school and new school mechanics. Awhile back I picked up The Nod Companion. If you like the Blood & Treasure RPG, I suggest you pick this up. I'd say it is the Unearthed Arcana of the Blood & Treasure RPG. It has three new races (depicted on the cover), tons of new and interesting classes, while not all will work in every campaign, there is something for everyone! Some of the new classes include the Anarchist, Beastmaster, Charlatan, Demonologist, Elementalist, Gourmand (for the cook in you! ), Leech, Psychic, Puritan (Soloman Kane anyone? ), Vampyre and many more! Some new equipment (Axe Pistol! Nice), New spells (like Acid Geyser! ), and some other rules on skills and proficiencies. 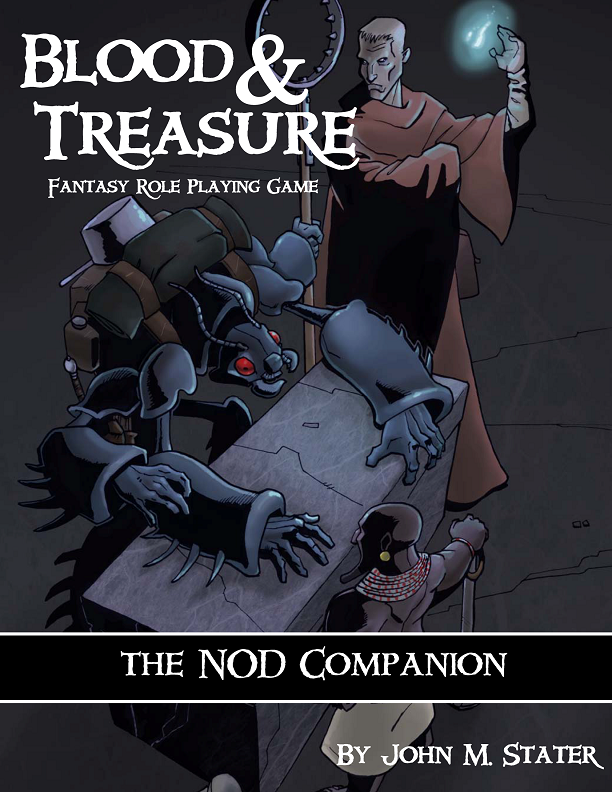 All in all a great Companion to the already very cool Blood & Treasure RPG. 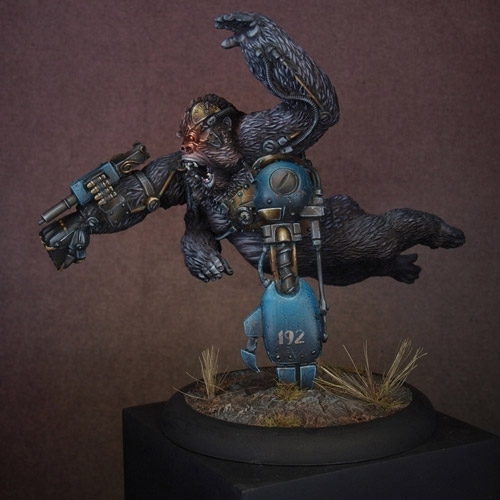 Just a quick Simian Saturday post today, I'm excited to see the Sun out today! It's been a long cold winter! So lots to do outside! 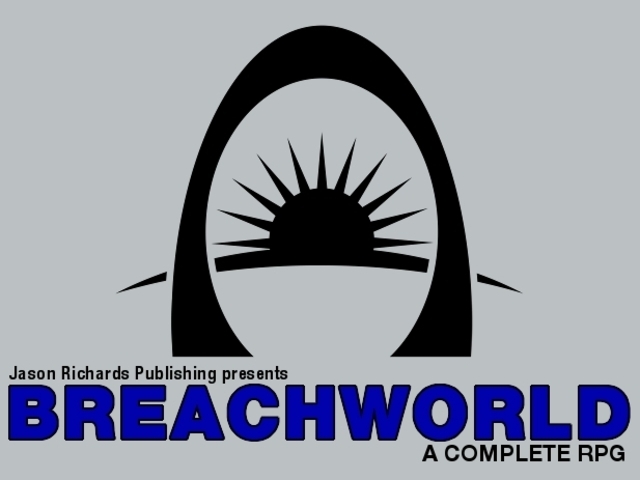 Here's an interesting Kickstarter Breachworld, it uses the Mini-Six system which is a fun rules-lite version of the D6 System of original Star Wars RPG fame. 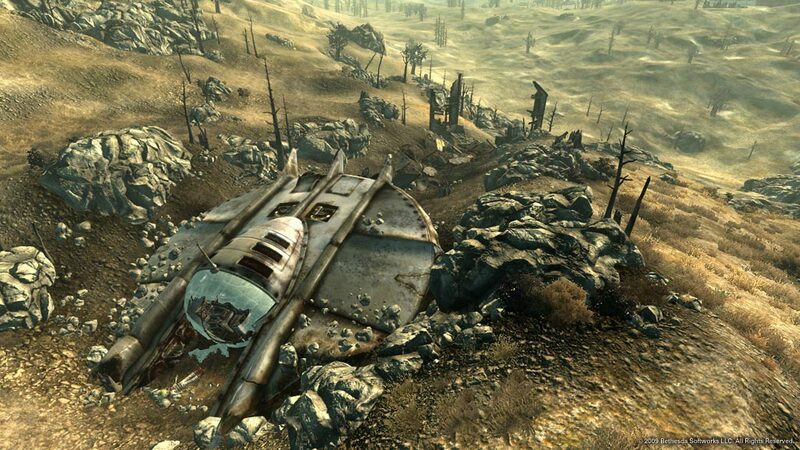 It reminds me of Rifts a bit, Post Apocalyptic Earth with Aliens and Monsters, sounds pretty cool. I'll be following this one closely! I've been digging through my Mutant Epoch books lately, played some Fallout and that always puts me in a Post Apocalyptic frame of mind. Got some great feedback on my Feral Chihuahuas post so I thought I'd work up something else for The Mutant Epoch. This is the first race I've built from scratch for the game so I may need to tweak it a bit, I haven't play-tested this race yet, so if you use them I'd love to hear your feedback. Anyway without further ado I present The Greys! 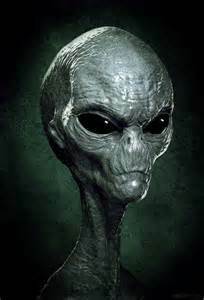 Grey Aliens or as they are more commonly referred to simply as Greys are an alien race that has been visiting the Earth for untold centuries. Prior to the collapse of civilization there were reports of Greys abducting humans and conducting experiments upon them. Across the globe strange U.F.O. 's were reported in the skies. Centuries later Greys continue to observe and discreetly interact with the denizens of The Mutant Epoch. They are very rare and it is believed that their numbers are quite limited but some can be found in small enclaves scattered across the world. Eerie lights are still reported in the skies, but with all the debris still orbiting the planet it is hard to determine if these are the U.F.O. 's of legend or just space junk burning up in orbit. Those few "experts" that are even aware of the Greys existence have speculated that the few remaining Greys still on the planet are in fact stranded here and are trying to find the means to escape this mutated and devastated world. Others say these aliens have a more sinister purpose and that perhaps they in fact triggered the horrific mutations and devastation that destroyed the golden age of humankind in order to better subjugate the denizens of The Mutant Epoch . 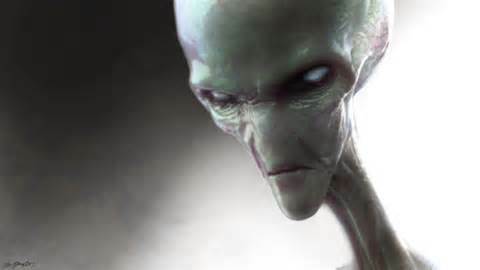 Physically they are short slender somewhat frail looking humanoids, with large heads, spindly limbs, and grey skin. Most are described as having large black almond shaped eyes but some have been reported to have white eyes. All reports about them described them as using advanced technology and they are believed to have highly advanced intellects. Grey's physical characteristics are very similar to each other and no female members of the species have ever been reported, leading some to believe they are in fact some form of vat grown test-tube race. On rare occasions a lone Grey will abandon his enclave and seek out interactions with the native races of The Mutant Epoch, most such groups that the Grey joins never realize the Grey is in fact an alien, they assume he is a mutant of some kind and give the matter little other thought. Those that learn or realize the Grey is in fact not of this world tend to distrust them and question their motives. Due to their unique physical forms Greys cannot wear advanced armors made for humans, indeed their poor strength often limits them to being able to wear only lightweight armors. Enclaves of Greys have access to advanced energy weapons and possibly even starcraft, but lone Greys that have left their kind rarely have such advanced gear. Inspired by a certain encounter in the Fallout Video Game!